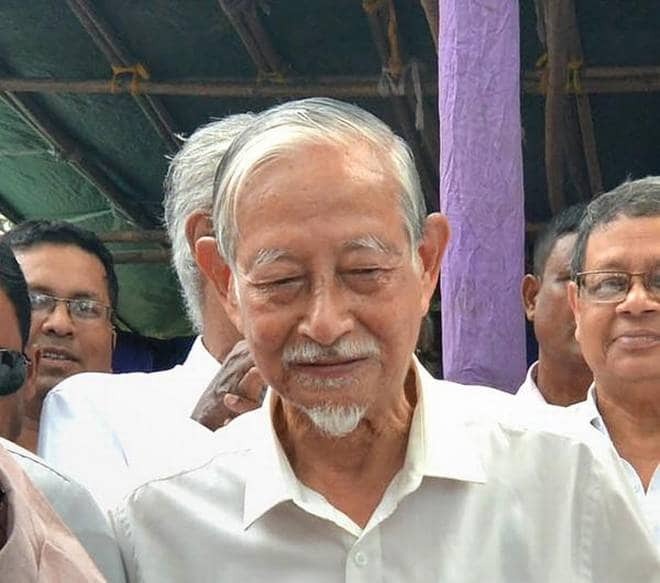 NEW DELHI: “No I most certainly never thought, never imagined that I would be charged with sedition in my life,” Hiren Gohain told The Citizen in an interview today. Eighty years into his life of scholarly pursuit Professor Gohain, along with Krishak Mukti Sangram Samiti leader Akhil Gogoi and journalist-activist Manjit Mahanta, were slapped with sedition cases by the Assam government for being present at a protest meeting against the controversial Citizenship (Amendment) Bill. They have been given bail by the Guwahati High Court for now. Gohain said that he was actually trying to restrain the very angry young people at the meeting. “In my speech I tried to restrain the younger elements who are furious with the government over this Bill,” he said. Gohain said that under pressure the judicial system was itself becoming a “little wobbly” and that this was a matter of concern. He warned that the Citizenship (Amendement) Bill was triggering off fires that would “rage all across Assam”. He said the government had with this move unleashed “very dangerous consequences”. “I do not know if they realise this, or whether they do and have done all this deliberately, but this is going to have consequences difficult to control,” the scholar said. Asked about the reluctance of all governments since independence to abolish this Act, Professor Gohain agreed. “Indeed it is very true, it is a shame that the people who fought for independence from the British retained the sedition law, and it was left to the Supreme Court to intervene and interpret its provisions in a more democratic light,” he said. “The Congress and opposition if they come to power and remain in their senses must, as their first act, abolish the sedition law,” he added. Meanwhile protests across Assam are gathering intensity with musicians and cultural artists taking to the streets this evening. The amendment brought in by the government allowing citizenship to Hindus as the religious minorities in neighbouring countries has led the Asom Gana Parishad to part ways with the BJP in the National Democratic Alliance. It is no longer in government in the state, and has become part of the growing agitation against the Bill. The sedition charges against Hiren Gohain and the others have further fanned the flames. Professor Gohain, a graduate of Calcutta’s Presidency College, did his doctoral research at Cambridge University with his thesis ‘Paradise Lost and the 17th Century Crisis’ earning him international acclaim. He returned to join Guwahati University as a professor and is a respected and admired figure in Assam. He introduced the ideas and methods of Anglo-American New Criticism to the study of Assamese literature and has written several books, including four volumes of memoirs.